In an era of convergence, industry boundaries will become increasingly blurred. Companies will face competition from start-ups and established businesses, some from unrelated sectors and even some who may have been partners in the past. But the news isn’t all menacing. Convergence may be rendering conventional value chains obsolete, but it also offers huge opportunities for growth to those willing to seize the upside. The future belongs to those who are willing to think differently and look beyond their own industry borders to identify new problems to solve, to engage customers in creative ways and form unexpected partnerships. In a world where everything is changing, the biggest risk is standing still. 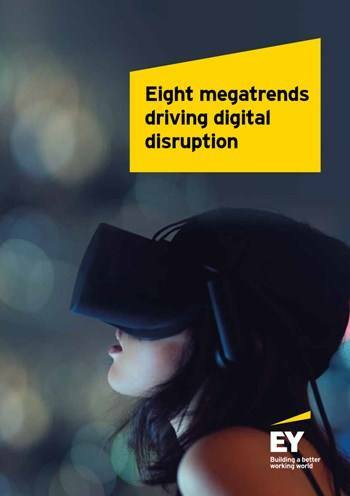 To seize the upside of disruption, organizations must examine how every one of these eight megatrends may impact upon their strategy.